Shade loving plants are often woodland plants. They usually have large leaves to make the most of the available light before the trees are in full leaf. They grow and flower much earlier than other plants providing interest for the gardener and a welcome early supply of food for Bumblebees and other insects. In my garden the earth around mature trees and shrubs is often on the dry side, even after heavy rainfall. I have found that improving the soil with organic matter such as garden compost or leaf mould helps to increase moisture retention and that really gives my small plants a boost. In fact I am often surprised by plants seeding themselves into what seems to be a most unsuitable spot. I grow various Ferns and Hostas, Geranium sylvaticum, Foxgloves, Hellebores, Pulmonarias and lots of bulbs in the Spring Garden. Any plant with sylvaticum in it’s Latin name works well in shade as that means woodland. 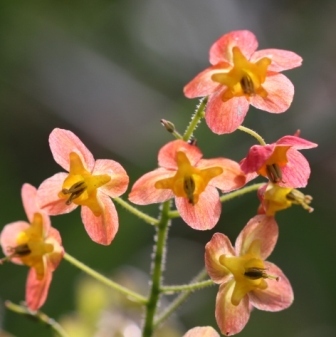 One of my favourite plants is the Epimedium. I just have two varieties. One has pale yellow flowers and then there is this one. 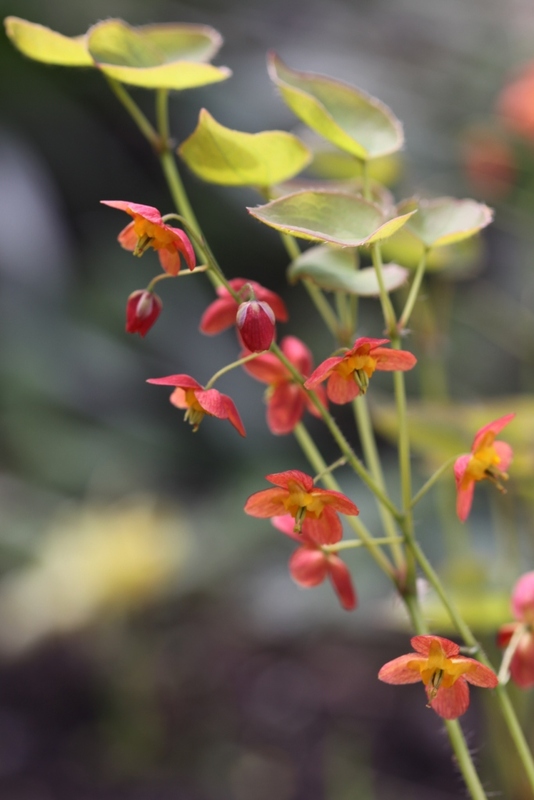 I think it is Epimedium warleyense. How beautiful is this? 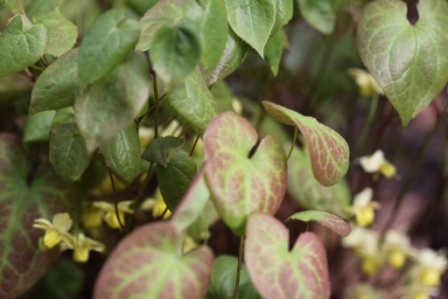 Epimediums have evergreen foliage which becomes quite tatty after a hard winter. So it makes sense to cut the whole lot back to within a couple of inches of the ground in February. In just a few weeks the new foliage appears to compliment the beautiful jewel like flowers. Even in dry shade Epimediums are happy. Woo Hoo! 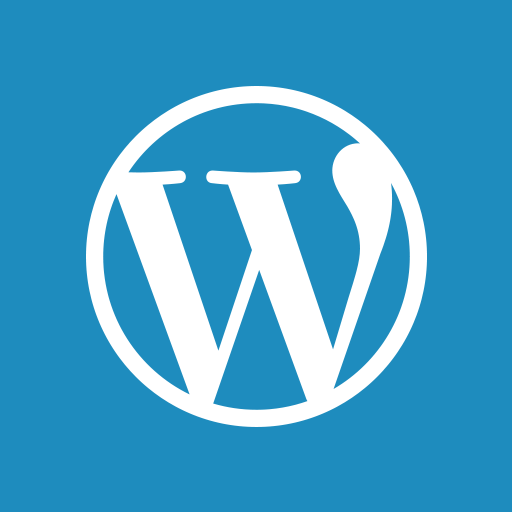 Just click the first photo to view the gallery.